1. 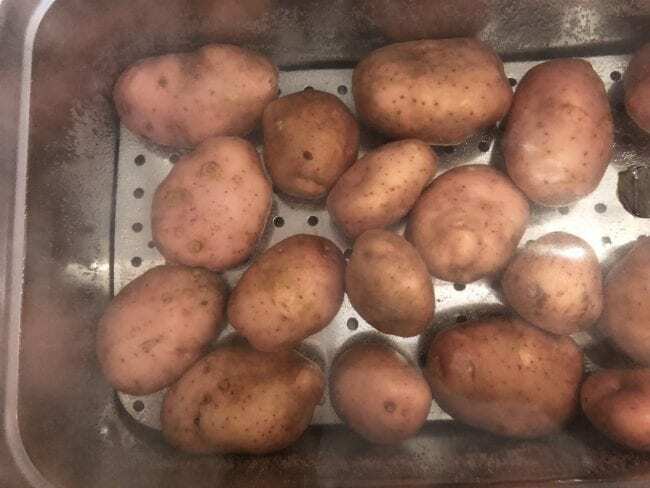 We usually pop our potatoes in a water bath at 70 degrees for 1.5 hours to trap the starch in when going on to boil them, but you can boil them with the skin on as normal, until soft. 2. Peel (keep aside!) and mash the potatoes. 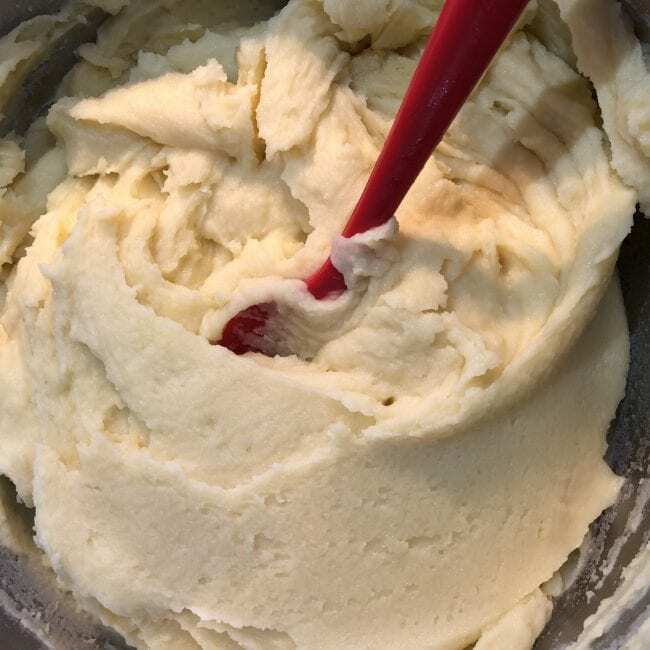 Pass the mash until you’re happy it’s at the smoothest it can be! 3. Add the potato skin to a pan, cover with water and add to heat to create your stock. 4. 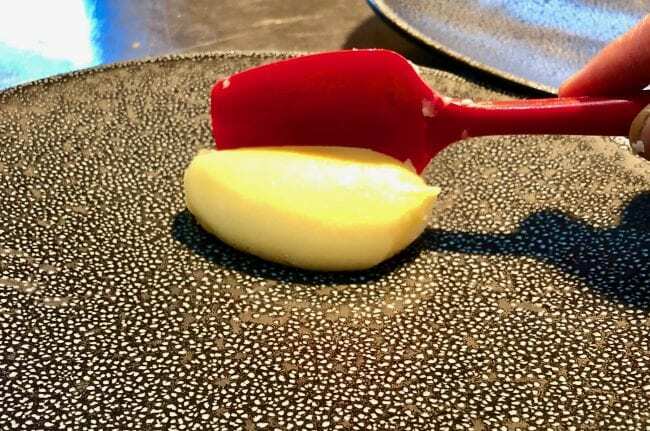 Add the butter and stock, then mix until smooth. If you’d like to try Aiden’s mash, served at the moment with our spring Lamb Chump, book to join us for our tasting menu. Hope to see you soon.